I quite recently started doing leg raises. I know, it’s sad that I did not before, because I always found them to be too hard. But ever since I decided to push past my hesitation, I have seen definition, I had never seen before! Wanna target your rigid lower abs? 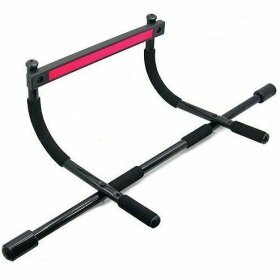 Wanna tone your biceps and triceps at the same time? Wanna strengthen your back muscles and glutes? In my opinion, this is truly the MOTHER of all ab exercises (ofcourse after planks 🙂 ). All you need is one of these. It targets all the ab muscles at once, give you a more complete ab workout, versus doing a million of different ones. Do 10 reps of these, 3 times, every couple days, and see the difference.